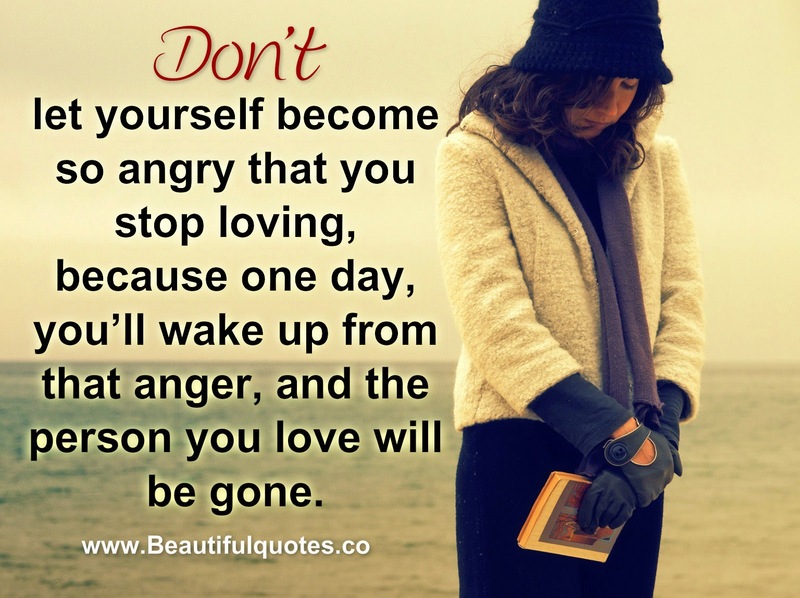 google-site-verification: google8d8438b214143f71.html Beautiful Quotes: Don't let yourself become so angry that you stop loving. Don't let yourself become so angry that you stop loving. Don’t let yourself become so angry that you stop loving, because one day, you’ll wake up from that anger, and the person you love will be gone.